Rob was born in London in 1962 but spent most of hid youth in Bath, Somerset. He did a degree in Graphic Design at the University of the West of England between 1982-85 where he met his wife Tracey. Whilst at college Rob specialized in children’s book illustration but ended up writing as well. He managed to get work immediately after finishing the course and fortunately has never needed another job to supplement his income. 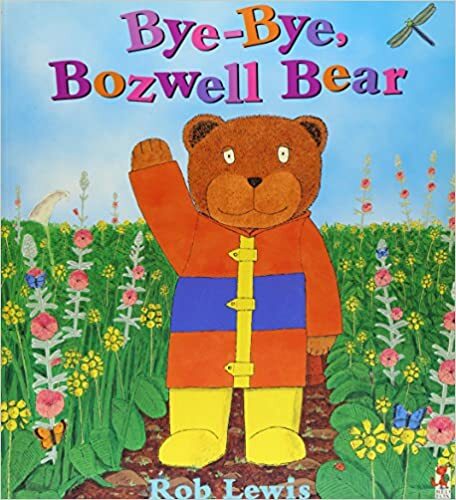 Rob’s first published book Hello Mr Scarecrow was published by Macdonald in 1986. Since then Rob has written and illustrated nearly 40 books, mainly for Random House but has worked largely for the Welsh publisher Gomer Press in recent years. 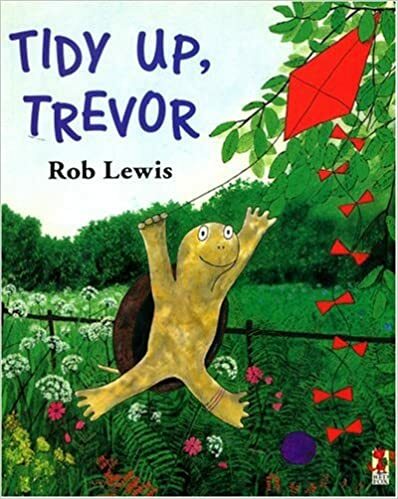 His most popular book is Tidy Up Trevor which is still in most school classrooms as it was on the SAT’s list for 7 years. In 2003 Rob won his first Welsh literature award, the Tir Na n-Og for Cold Jac and then again in 2011 for Three Little Sheep. He has also written and illustrated for French publishers and done projects for the BBC. As well as writing and illustrating Rob visits schools and libraries (over a thousand!) all over the country and occasionally abroad. Storytelling includes line drawings with marker pens and the active participation of children and teachers. These sessions are very lively with lots of noises, actions, puppets and songs. These workshops are suitable for nursery up to year 2 and are approximately 1 hour long (slightly shorter for nursery/reception). Freizework involves reading and story, which Rob will then base the theme of the freize on one of the pictures in the book. The children then work on drawing and collage pictures on separate paper (at their own tables, or space on the floor if done in a hall). The collage pictures are then cut out and stuck onto the main frieze towards the end of the session. This workshop can accommodate up to 30 children and is for years 1 – 6. A talk on how a book is produced from idea stage to finished product. The main part of this session is an “Art Attack” style painting demonstration where I reproduce a piece of artwork from one of Rob’s books using the same paints and techniques as in the original. The session includes marker drawings and samples of work. This session can accommodate up to 60 children and is for years 2 – 6.
extension cable, if a power point is not conveniently close – this is to plug in my hair dryer, used to dry off my picture quickly in case you wondered! Writing workshops tend to vary depending on the content of Rob’s latest book. Currently he is concentrating on Three Little Sheep. He starts by explaining about how he writes, where ideas come from etc. The class then come up with ideas for characters (and drawing them if there’s time) and a general plotline similar to Three Little Sheep. The idea for this session is to inspire children to be creative rather than concentrating on grammar and spelling which teachers are more qualified to do! Due to the timeconstraints of the session, writing can continue after Rob has gone or the session can be a double one, with the first hour or so being Rob and then the second hour dedicated to the children’s writing. This session is similar to How a Book is made without the painting and more concentration on the writing/creative process and includes a very groan-worthy shaggy dog story which was the idea behind Three Little Sheep. The writing workshops are for a class of up to 30 children in years 3 – 6. When Trevor is bored and has nothing to do, the idea of tidying his cupboard is not exactly appealing. But when he discovers the bouncy ball, crumpled kite, blue boat, rubber ring and racing cars he thought he’d lost, tidying up doesn’t seem quite so boring after all.